As Director of the Center for One Health Research at the University of Washington, Dr. Rabinowitz oversees a number of studies and educational efforts related to the occupational health of animal workers, using a One Health paradigm. 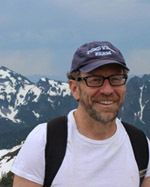 His recent work includes: occupational health surveys of swine and dairy workers, surveys of the human exposure risks from emerging pandemic virus threats as well as biosafety practices of people with wildlife contact in both occupational and non-occupational settings in the US and other countries, occupational health of laboratory animal workers, and risk of injury in veterinary and animal care workers. Dr. Rabinowitz is the Principal Investigator for this study.